06 Do You Have A Brother? Siblings Matt and Becky Thomas first formed the Mavis's in their hometown of Ballarat, Australia, in 1987. The four-piece band became a five-piece on the road, playing with guitarist Andrew Craw, before moving to Melbourne in 1990, where they built up a cult following. Guitarist Nick Gill joined the lineup for the band's debut single, "Roller-coaster"/"Witch Hunt," released in 1991. Josh Alexander replaced Katherine McNulty on bass and two EPs followed: Spindrift (1993) and Poseidon (May 1994). Their growing popularity saw the Mavis's sign a deal with Mushroom's White label in 1995, and their next single, "Moon Drone Gold," was released in December. The band's debut album, Venus Returning (July 1996), reached number 33 on the national chart and contained the singles "Box," "Thunder," and "Lost." "Thunder" was voted number 92 on national youth radio network Triple J's 1996 Hottest 100 list. The band's next single, "Naughty Boy," was released in November 1997 and appeared on their second album, Pink Pills, in April 1998. A more mature album than their debut, it contained their second single and biggest hit, the pop-driven "Cry," followed by "Lever" in June. "'Cry" peaked at number 13 nationally and attained gold status in Australia (over 35,000 copies sold), while the EP, Cry Remixes, debuted at number 12 in April. 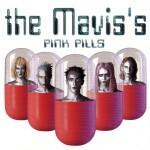 The Mavis's then re-recorded the Pink Pills track "Puberty Song" for release as a single in November. They then supported Green Day during their 1998 Australian tour while "Naughty Boy" was voted number 37 on the 1997 Triple J Hottest 100 list, "Cry" coming in at number 61 the next year. Several covers followed, the first being "Walk on By" for the To Hal and Bacharach tribute album in April 1998, followed by a Duran Duran cover of "Planet Earth" for the tribute album Undone: The Songs of Duran Duran in October 1999. They then contributed a version of ABBA's "Bang-A-Boomerang" for the original soundtrack to the film The Wog Boy in February 2000, and a new single, "Happiness," was released in February. They contributed another cover, this time a version of Jim Keays' 1974 single "The Boy From the Stars," for the original soundtrack to the film Sample People in May 2000. Their final single, "Coming Home," was released in July 2000 followed by the eight-track compilation album So Far in June 2001. 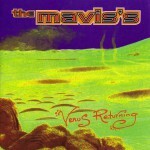 Three months later, the Mavis's decided to break up to pursue separate musical interests and a farewell tour followed.